This locally run gem is an all-round impressive three star hotel with optimum service, good facilities, an ideal location near the historic centre and freshly decorated rooms. 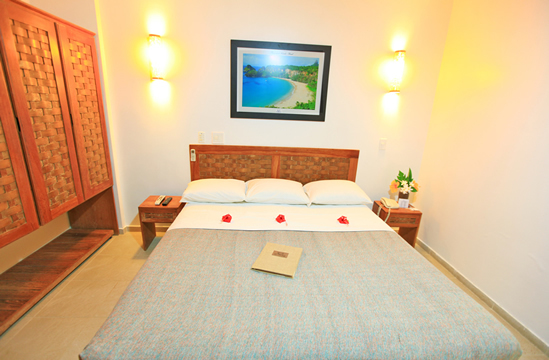 Set amongst pretty lush gardens the rooms each have their own balcony with hammock, TV and DVD player, air-conditioning and private bathroom. WiFi is available throughout the hotel. A beautiful oasis of calm totally immersed in nature, yet close to the island's restaurants and bars, with 12 modern and fresh rooms. As well as offering daily afternoon tea, once a week the pousada continues their tradition of hosting a brick barbeque for all their guests, where people from all over the world come together to chat and enjoy some amazing freshly cooked food! Pousada Ze Maria is a boutique pousada nestled in the hill tops overlooking a dramatic part of the landscape and coastline. At the centre of the pousada is a beautiful infinity edge pool overlooking the dramatic rock formation and surrounding forest. 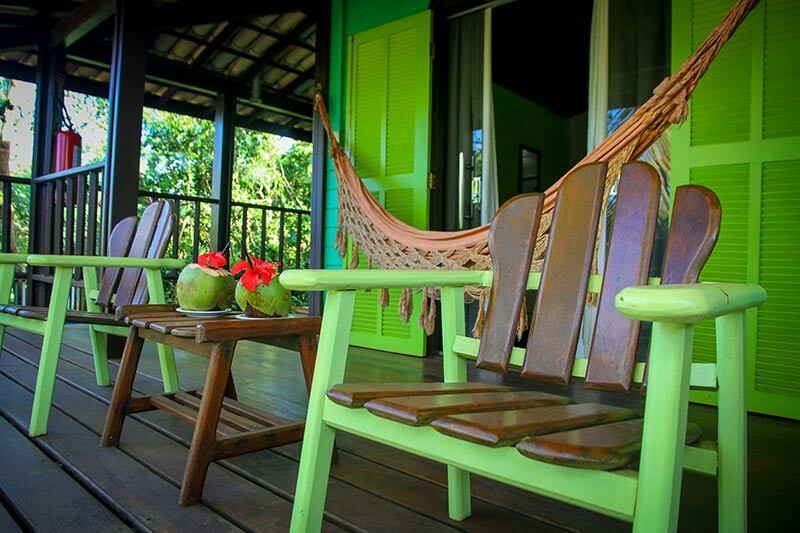 Rooms are dottted amongst the forested grounds and there are also individual bungalows featuring balconies and hammock. 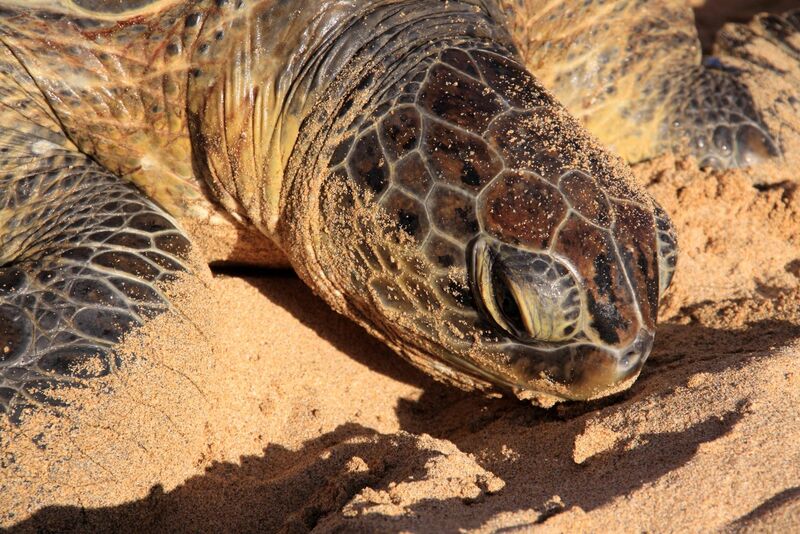 It's not difficult to get up close and personal with some of the beautiful creatures which call Fernando de Noronha home. On the South side of the island, Praia do Sueste is a feeding site for green turtles and the ideal spot for an hour or two of snorkelling. Snorkels, fins and life jackets can be rented at the beach for a few dollars, where you can also hire a guide. Striking out into the sheltered bay, the shallow waters may surprise you, so be sure to keep your fins off the bottom to prevent stirring up the heavy silt. At this depth things can be a little murky, but take your time moving over the water and persistence will soon pay off. The gleam of a huge, beautifully patterned shell through the gloom, the majestic rise and fall of a turtle as it breaks the surface to take in air before diving to the bottom to feed. Keep a respectful distance and these gentle creatures will let you watch them for minutes at a time, while you float on the choppy surface wishing for half their grace. If this wasn't enough, spotting a small shark as you make your way around the bay is a real possibility. 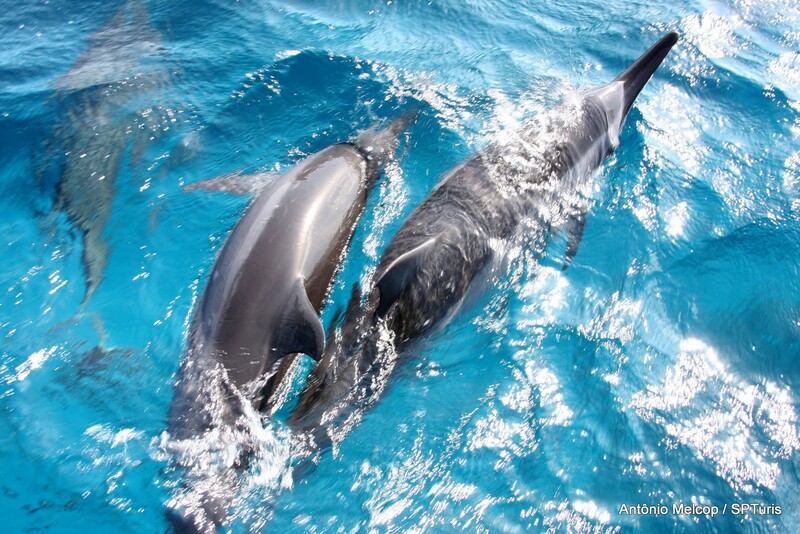 Head out on a boat trip for the chance to encounter one of the island's other iconic inhabitants - the spinner dolphin. These beautiful animals can be found here all year round and watching them from deck is magical. Pods of twenty or thirty glide past the boat, smooth shapes barely breaking the water until suddenly one leaps and spins, jumping playfully above the waves before crashing back into the surf. While deliberately swimming with the dolphins is strictly prohibited, if you're particularly lucky then surfacing from a dive may take you straight into an underwater show. Floating weightlessly in the deep blue, unexpectedly spotting their graceful path and then watching them pass curiously by can only be described as an other-worldly experience. Diving is hugely popular among visitors to the archipelago. With warm temperatures, visibility of up to thirty metres and incredibly diverse marine life, getting beneath the waves offers a whole new world to explore. 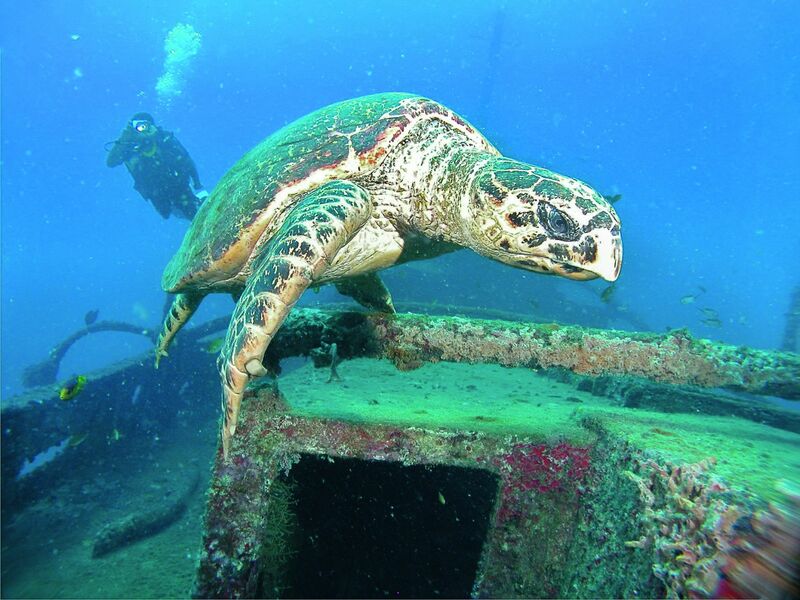 For the less experienced diver, there are sheltered, shallower dive sites with little current but plenty to see. For those seeking more of a rush, riding a drift current or night diving could be just the ticket. At all dive sites, spotting everything from a lobster to a shark is a possibility, and as the three dive shops operate at all the same sites, choosing a dive operator is a matter of personal preference more than anything else. If you prefer being beach side to wriggling into a wetsuit, Praia dos Sanchos is an idyll of crystal clear water and sweeping white sand. Catch the bus out of town for just a few Reals and wander the short walk through the woods to a viewpoint over the cove. Reaching the beach itself requires a ladder climb down the surrounding cliffs; it may sound onerous, but is actually over in a matter of minutes, leaving you to enjoy your time on the most beautiful beach on the island. 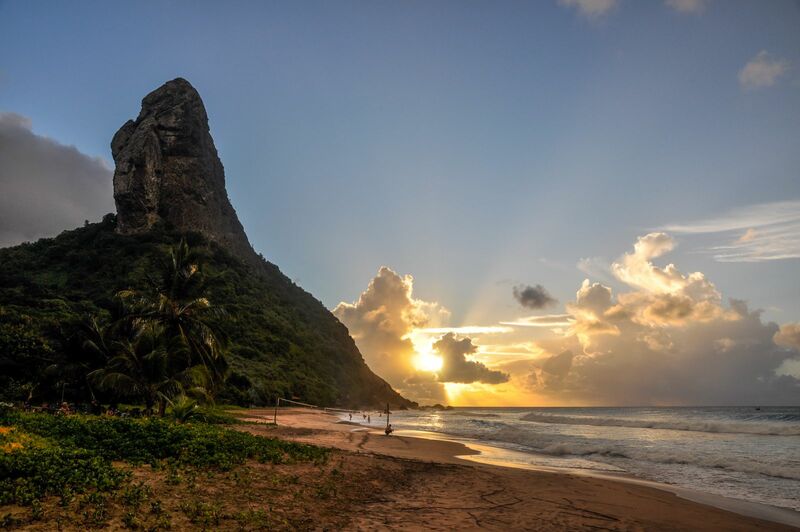 Soak up some glorious Brazilian sunshine, splash through the deliciously warm shallows or swim out to find colourful fish and small rays - the choice is yours. If you love surfing (or even just to watch), then the North side of the island is the place to be. 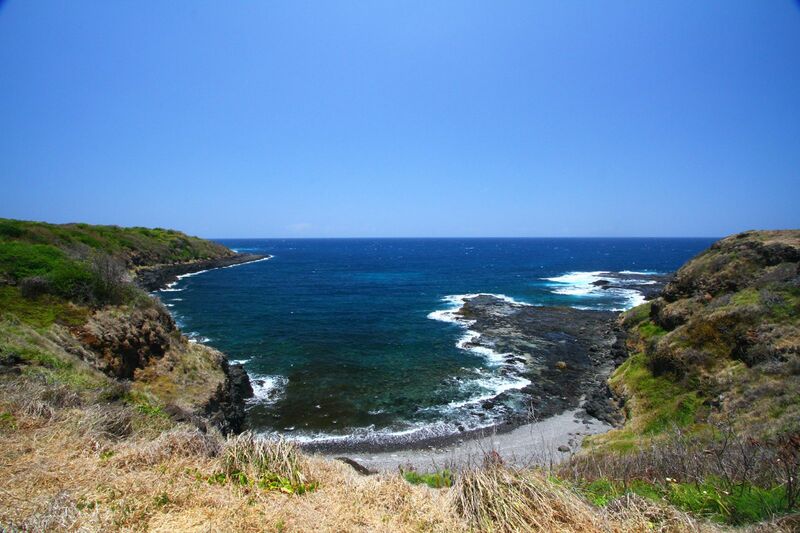 Large arcs of crashing surf and strong currents make swimming here a risky business. Better to grab a board and head out to catch some waves, or to settle down and relax with a fresh coconut. 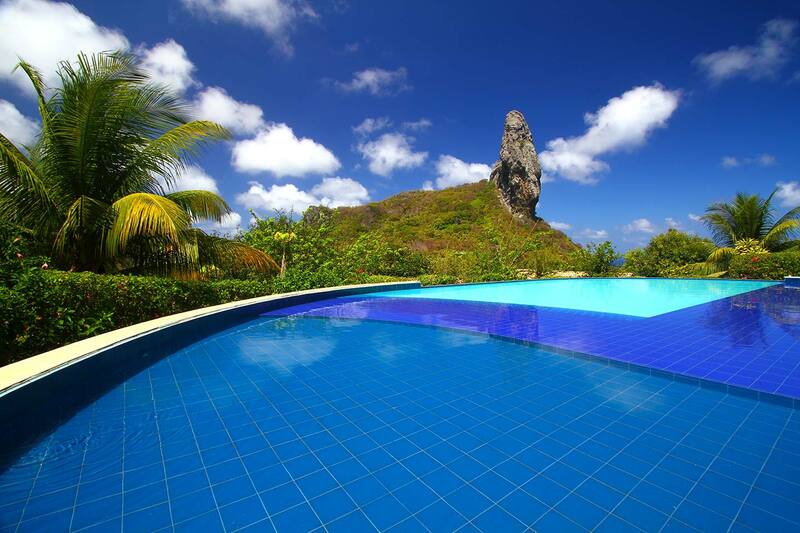 With beautiful views of Pico Mountain, you can't really go wrong either way. Don't know how to surf but want to give it a go? Enquire after an instructor at one of the beach shacks renting out boards to organise some lessons. As well as the opportunities for great surf, heading this way at mid afternoon gives you another chance to see the dolphins as they start making their daily journey away from the island. Keep a eye out for them passing by at about 16:00 for the perfect end to your day. 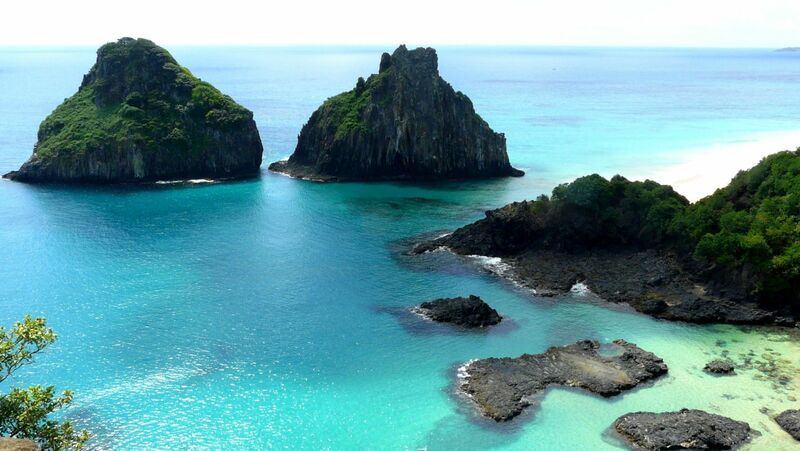 Fernando de Noronha offers great diving all year round, but the dry season of October to December is best for the complete tropical paradise experience. This time of year can be expensive, though, so shoulder season with its increased rainfall and greater numbers of mosquitos can be a good option for budget travellers. 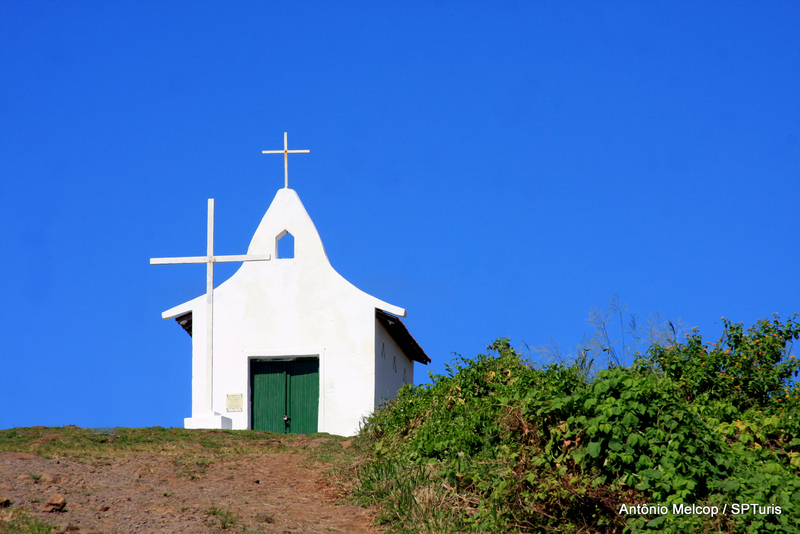 Get onto the island with a flight from Recife or Natal. Be aware that you will have to pay a tourist tax, which varies depending on the length of your stay, as well as an entrance fee for the marine park, which costs RS130 and is valid for ten days. For more upmarket restaurants serving everything from pasta dishes to hamburgers, try the main square. Cheaper alternatives, such as pay by the kilo buffets, can be found near the dive shops and Santander bank. For a special treat, try Cacimba Bistro, which has a fabulous selection of fish dishes and churros to die for. Dolphins gliding through crystal clear waters, pristine beaches and fantastic surf. If this sounds like paradise, that's probably because it is. 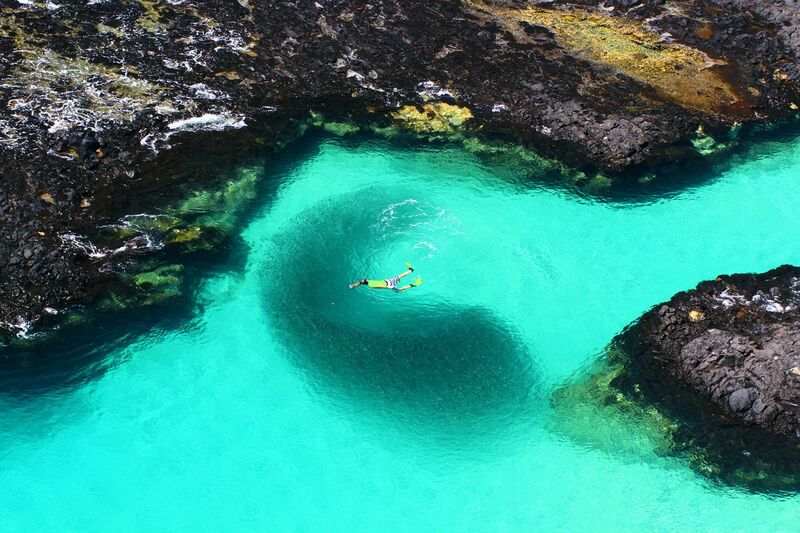 A green jewel in the Atlantic Ocean, Fernando de Noronha is the largest island of an archipelago of the same name, reachable by a short flight from Recife or Natal but as of yet largely untouched by international tourism. A UNESCO World Heritage site, the archipelago and its waters are home to a huge variety of flora and fauna, making it an incredible escape from mainland Brazil.